until Sunday, April14th, to use your coupon. Pick it up for just $7.95 this month. Please be sure to include all four items for the challenge. Hi Everyone! It's Trixie here from Pink Glitter Studio. Today I have a yummy card to share with you. 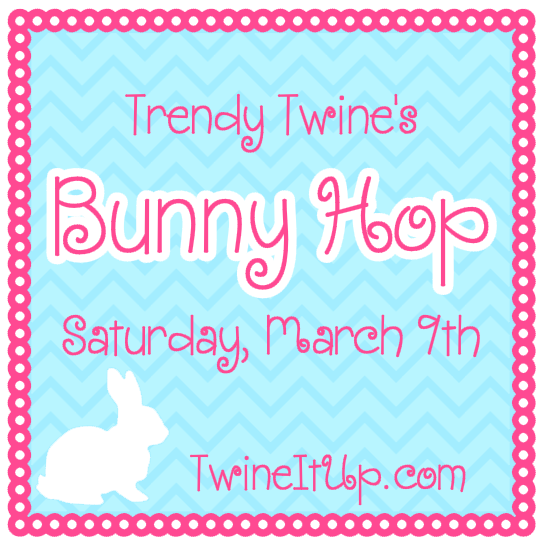 having me as a Guest Designer for Trendy Twine this month. I've had so much fun using your FABULOUS twine. I got my inspiration for this card from Pinterest. 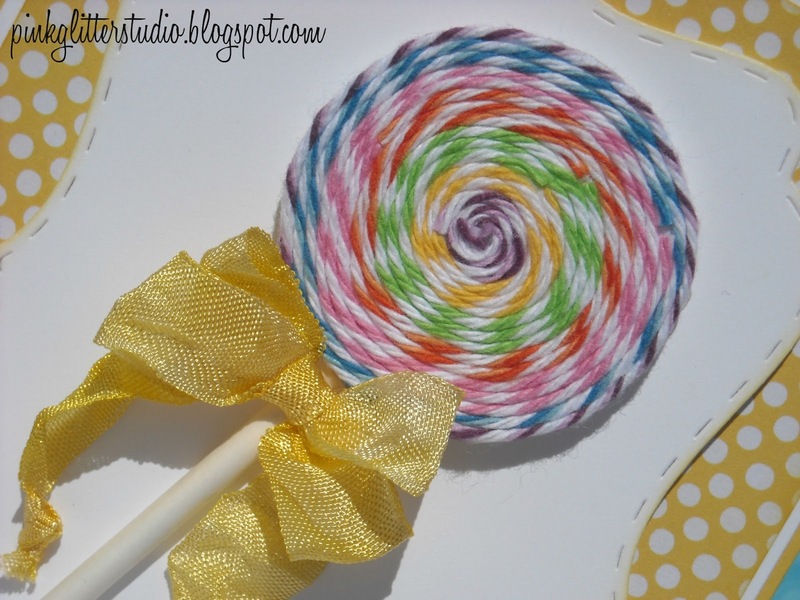 I put the lollipop on a white background so you could see the AMAZING color of the twine. I used the Jaded Blossom's Fancy Topper Die for this. 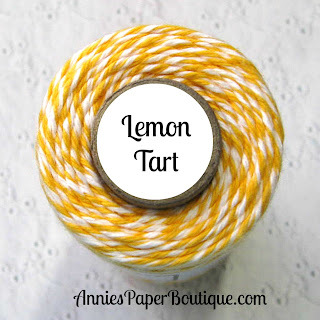 I also used some Lemonade Rumple Ribbon from LoveBug Creations. 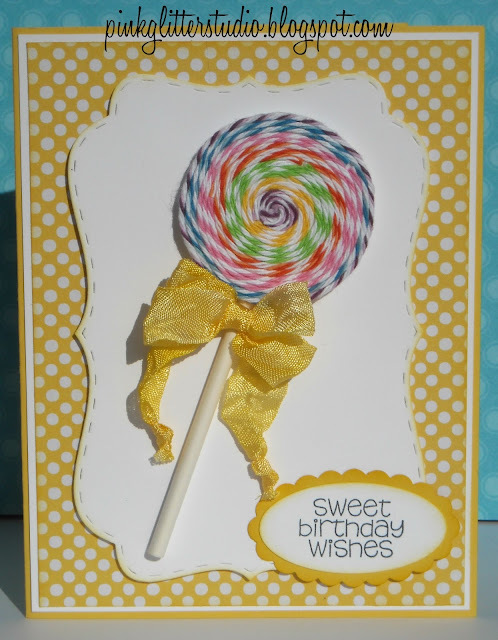 Here is a close up of the lollipop! Thank you so much for checking out my card today! 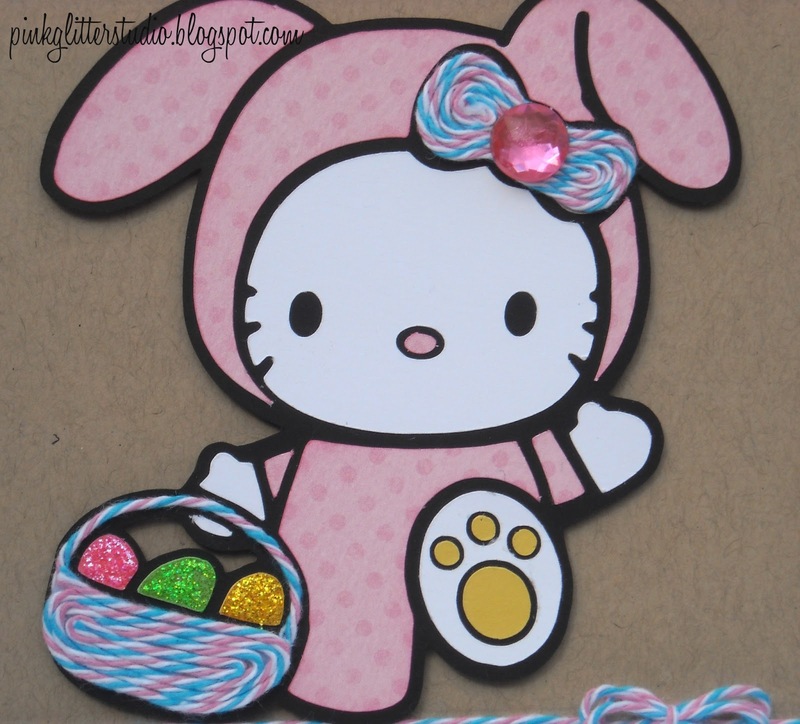 Hope everyone has a wonderful Easter!! Good morning all you Trendy Twiner's out there up bright and early on this Thursday morning. It's Dawn from Dawns Designs that Delight posting for you today. 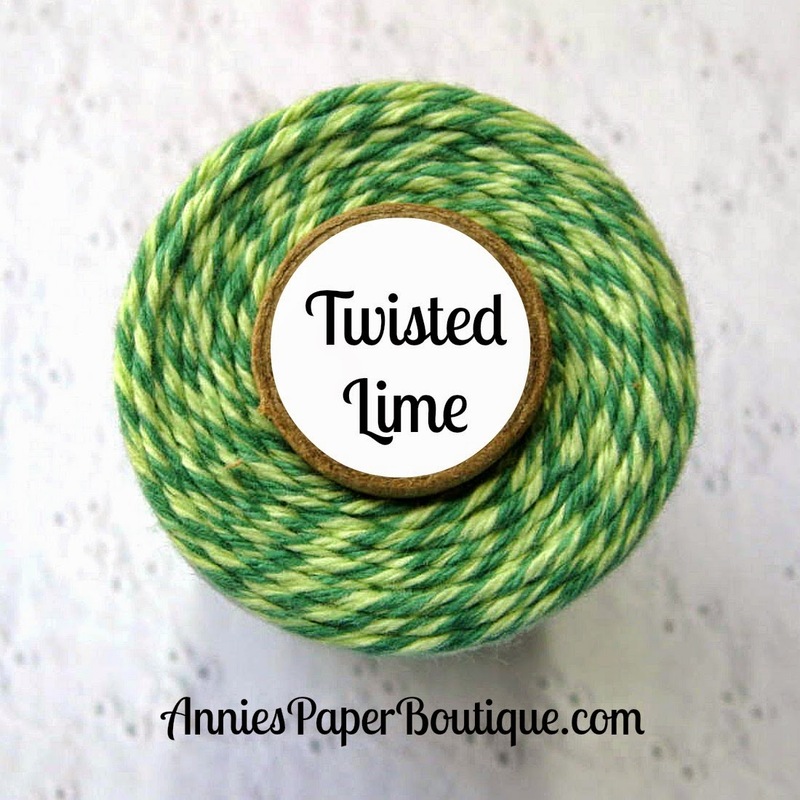 This month we are spotlighting the fabulous Twisted Lime Trendy Twine! I've been dusting off my copics lately and have been excited to use them in combination with my favorite twine! 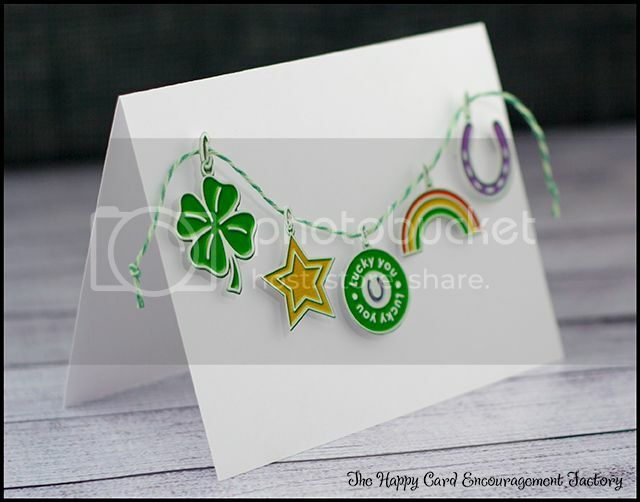 I've created this cute 6x6 "Best Wishes" card to share with a special somebody. And here is a close up of my use of the Twisted Lime twine. I hope you've enjoyed seeing my card today and that I've inspired you to dust off some of that twine of yours .. or perhaps even do a little shopping at the Trendy Twine Shop. You can grab the featured Twisted Lime HERE. You may find out additional details on my card on my blog HERE. 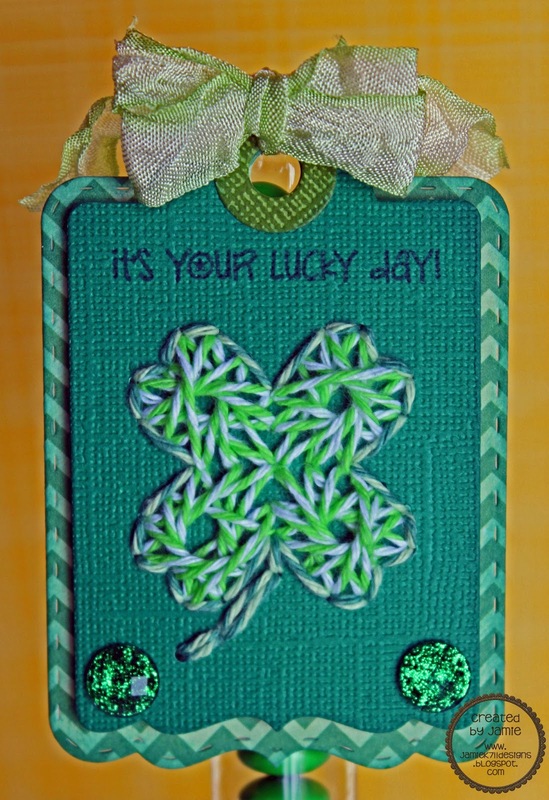 For more information on my card, just stop by my blog. Grab a Going Green Mini Set for $5.50. 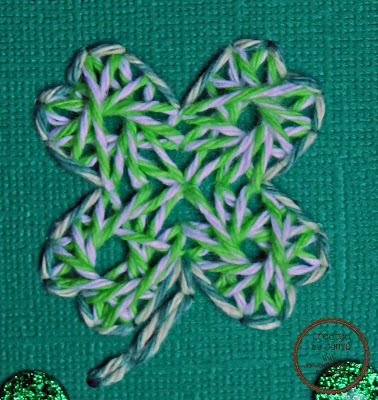 Best Wishes and String Art Tutorial! Jamie here to share a new project featuring Twisted Lime with you! 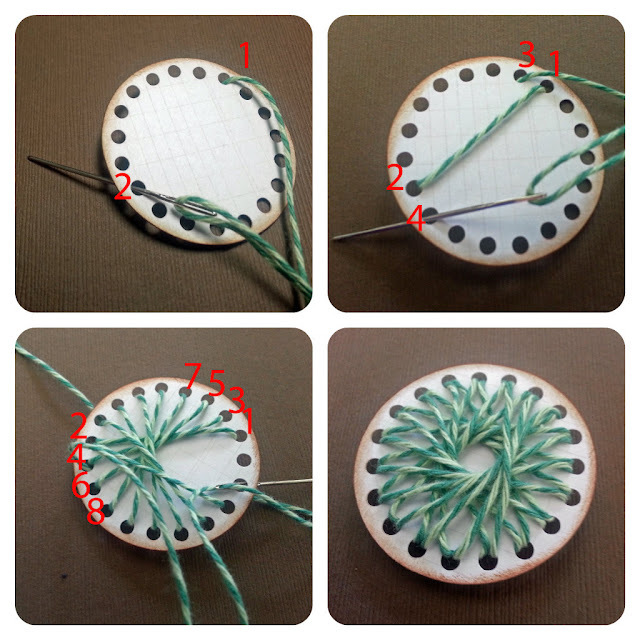 Plus I've got a mini string art tutorial. I made this colorful Best Wishes card. Here's a close up of the finished string art with Twisted Lime. Hopefully my pictures make sense to everyone, if not you can always contact me through my blog HERE. I used the rhinestone feature on the Silhouette software to make my holes. I made the shape I want and then I do an internal offset a little smaller then the shape. After that I used the rhinestone feature to change the internal shape to size 10ss holes and for this circle I changed the spacing to 3. 1. I put a line of my atg glue on the back to hold down the end of the twine. 1. I numbered the holes in the pics above so you can see where to start and where to go next. But you can pick any hole to start and then pick another one somewhere across from it. Depending on how far apart the holes are you choose will make the hole in the center bigger or smaller. 3. Then you just keep moving one hole over(counter clockwise) all the way around the shape until you have 2 strands into each hole. If you run out of twine while working the shape, you can just start a new strand on the back. I hope you enjoyed my project, stop by my blog for complete details on my project HERE. You can purchase some Twisted Lime on sale HERE. Hi everyone! 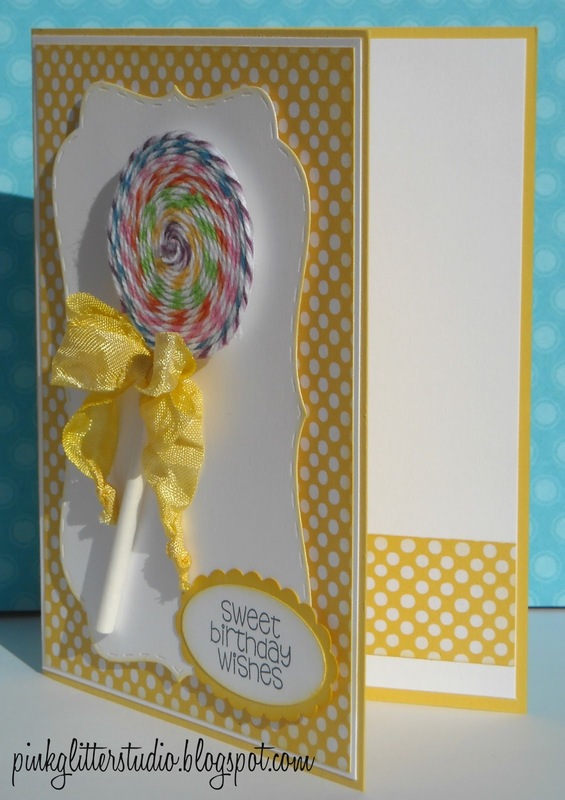 It's Dawn, from Designs from Delight sharing a cute project for you today. 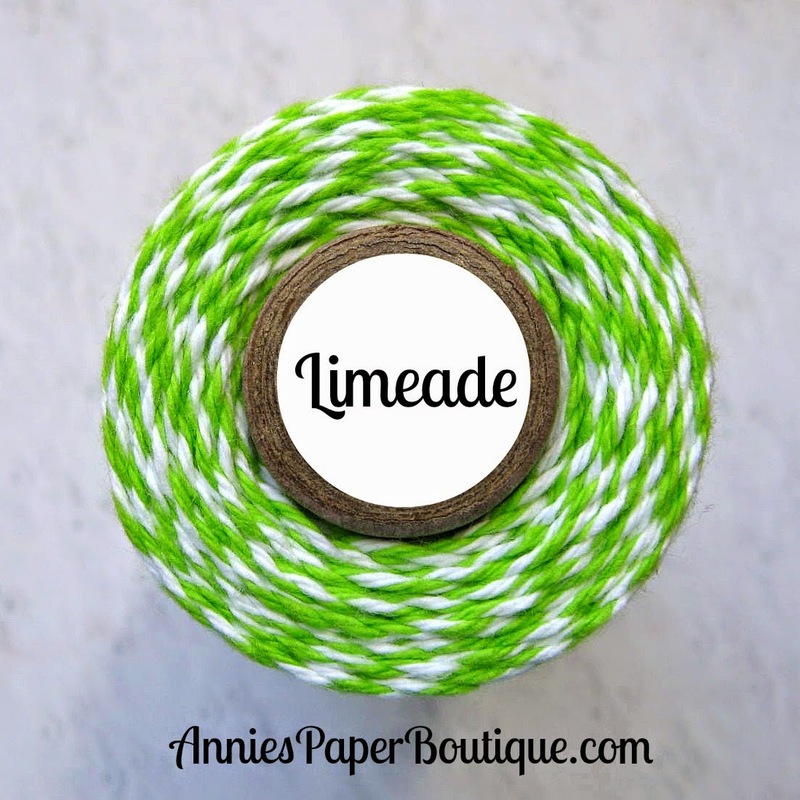 As you are probably aware, we are featuring the "Twisted Lime" twine this month in celebration of all things green. I made this cute little tag that could be placed on a little gift, or a note written on the back and added to a special someone's lunchbox. I Love to do that for my kids! You can purchase Twisted Lime HERE. For the details on this project, please check out my blog HERE. Happy Saturday sweet friends! Alyssa here today from My Thoughts Exactly. Today I have a super simple stamped card to share with you featuring Twisted Lime Trendy Twine! Now I know St Patty's Day has already passed, but who says we can't still be in the mood for some green and good luck? I used Twisted Lime to string up the clover "balloons". Isn't it cute? Grab an entire spool of Twisted Lime NOW for only $7.95! I'm so happy to be back again today with another card to share with you. 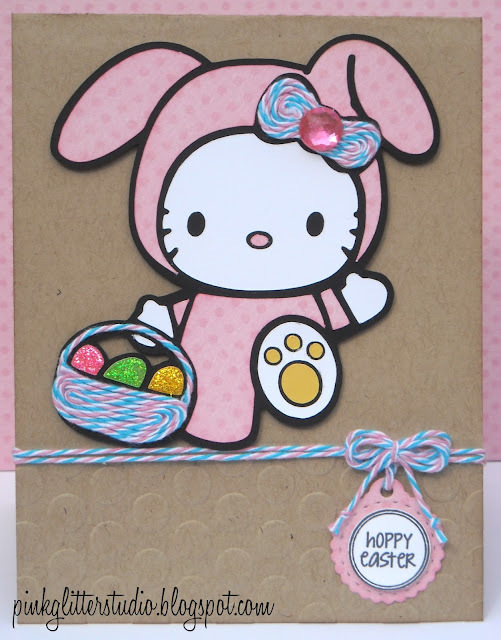 Today I made this Hello Kitty Bunny card. Isn't she sooo cute!!!! I feel in love with her when I saw her on Ruthie Nixon's Blog. I kept the background of this card pretty simple so Hello Kitty would stand out. 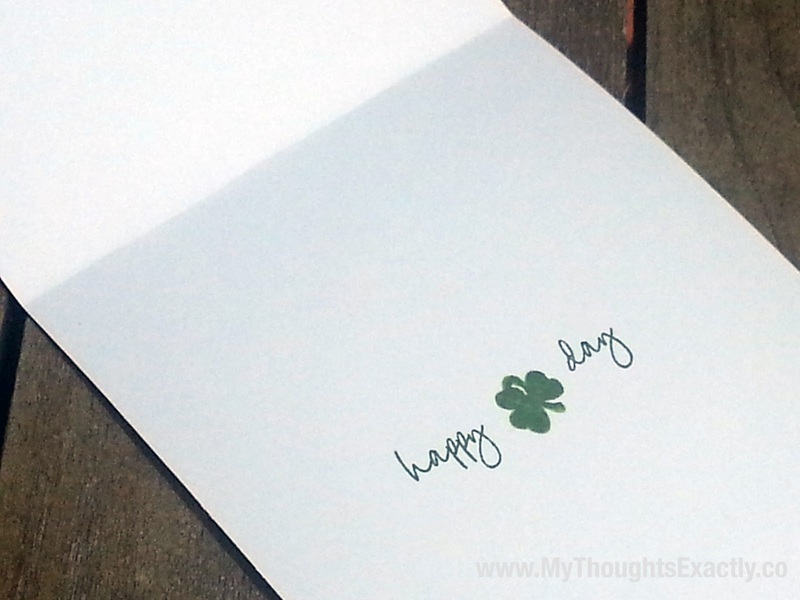 I did a little bit of embossing on the bottom part of the card. 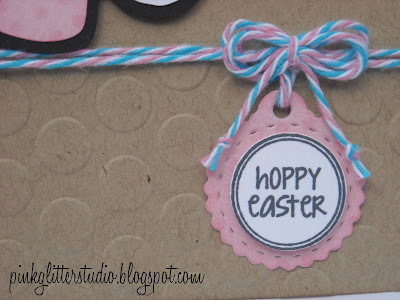 I used one of my new FAVORITE colors, Bubblegum Taffy Trendy Twine for her bow, on the Easter Basket and for the Charm. 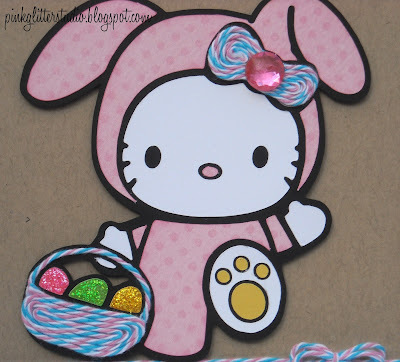 I put some bling on her bow and some Stickles on the Easter Eggs. For the sentiment I used Jaded Blossom's Easter Candies and put it on one of the Charm Dies from the Candy Charms and Banner Dies. I just love how the Charm Die looks. What a cute way to add a sentiment to your card or project! 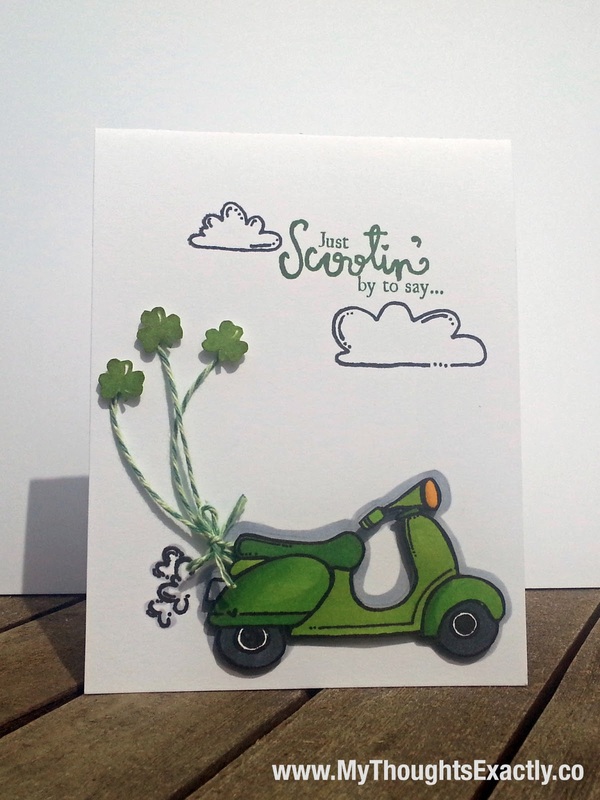 Thank you so much for checking out my card today. I'm finally back with a new project today for Trendy Twine. 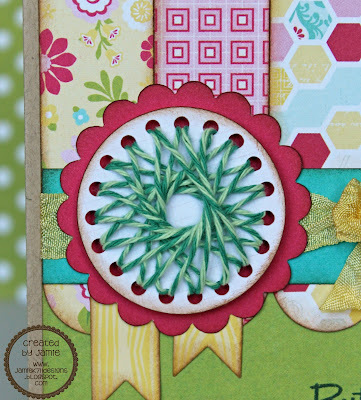 I am jumping over here from the Happy Card Encouragement Factory with a little taste of Twisted Lime. 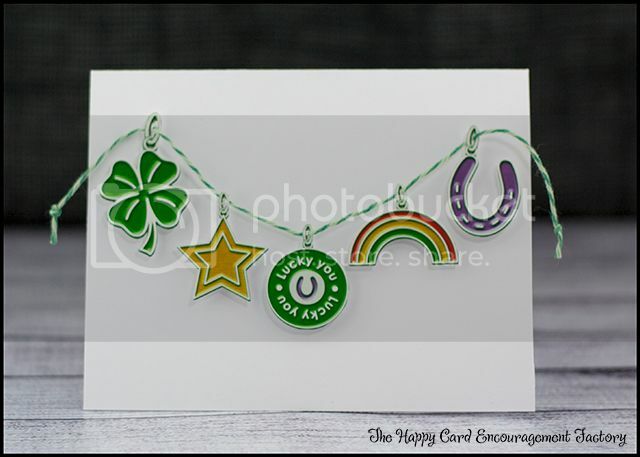 It's a simple Print N' Cut card to let your best buddy know how lucky they are to have you as a friend. hehehe I mean, you do make them awesome homemade cards, right? 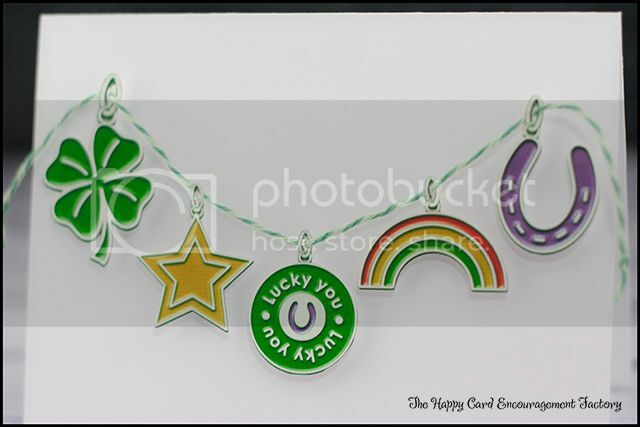 As you can see, it's a pretty straight forward paper charm bracelet pun. I didn't add a sentiment to the front as I thought the middle charm was enough. The only thing is, I need your help with an inside sentiment. I was thinking "you're such a charm" or something like that, but I am not sure that is very good. Got anything? Leave me some suggestions in the comments below! Don't forget you still have a little time to enter the March challenge. It ends Friday, March 22nd. 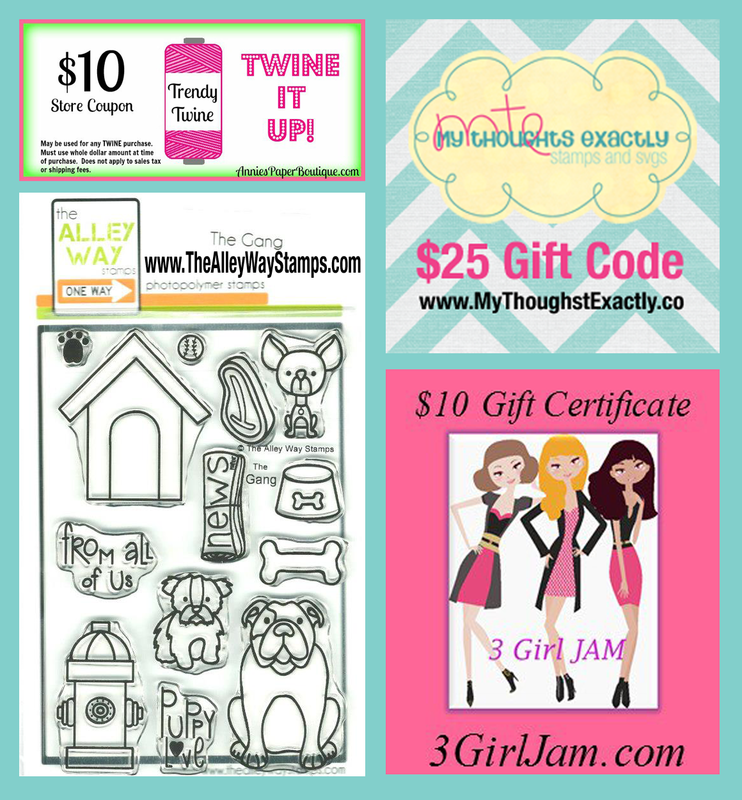 The prize is a $10 store coupon for the best twine on the planet! Which, by the way, you can grab this month's spotlight color for just $7.95 for a 160 yard spool. What are you waiting for?!? 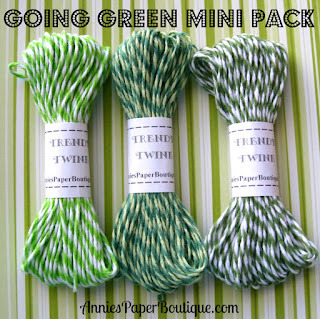 A super cute twine for all those St. Patricks day projects but also a great color for Spring. 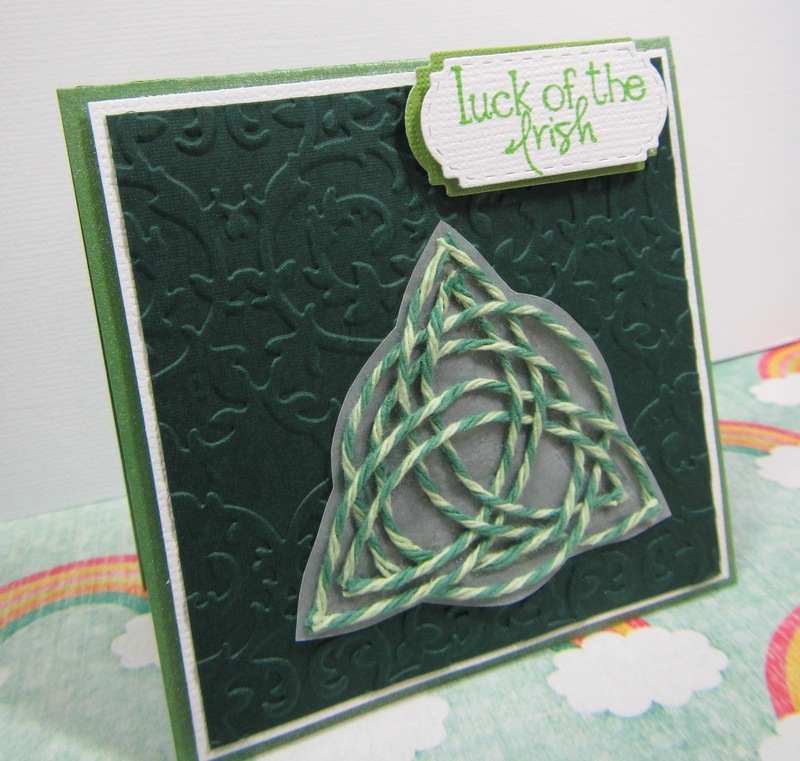 I created this 3 1/2" 3 1/2" note card with a handmade keltic knot on the front. It was much harder to create than I thought but I love how it turned out. To find out more about my project visit my blog HERE. If you haven't already please join us for the monthly challenge HERE. You can buy this amazing Twisted Lime Twine HERE. Thank you for visiting the Trendy Twine blog! Isn't is such a GREAT twist of greens??? If you are a blog follower of mine, then you know I love to create CAS cards... and I am always on the lookout for different ways to use my twine. I think this gives the twine the front and center spotlight and really shows off the beautiful colors and twist. You still have time to enter and we would LOVE to see all those projects!!!! As always there are additional details up on my blog. I would love if you popped over to say "Hi" there as well! Thanks so much for stopping by and have a GREAT week!!! It's Trixie here from Pink Glitter Studio. 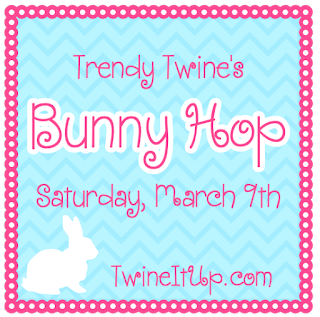 I'm so very excited to be a Guest Designer here at Trendy Twine today. 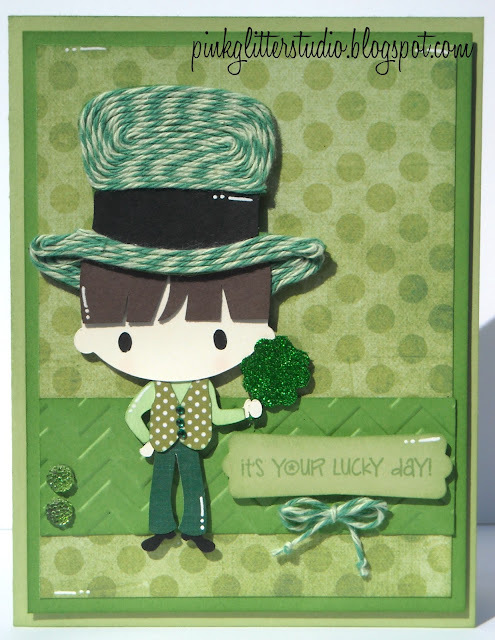 This cute little Leprechaun is from the SVG Cutting Files "Wee Bit Irish" file. 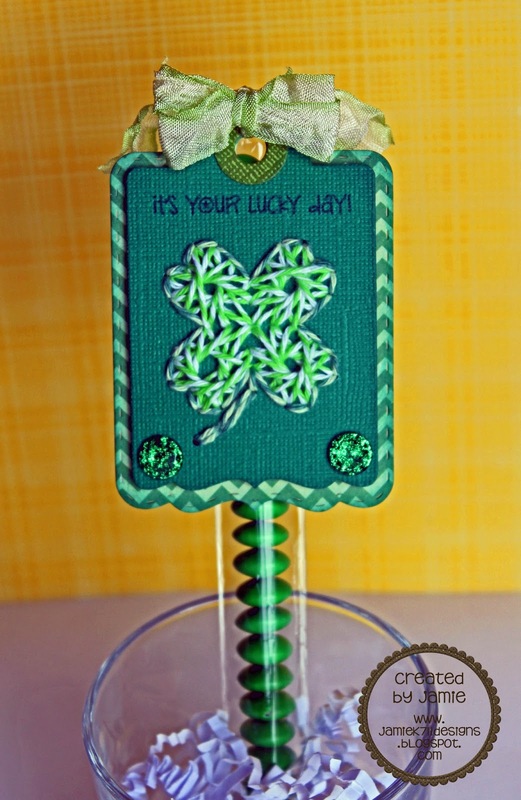 I used Twisted Lime on his hat and added some glitter to the Shamrock. Thanks so much for checking out my card today. For more pics and details, please visit my blog. Don't forget there is still time to join the Trendy Twine Challenge. Today I have a treat slider box. And what better way to finish them off, than with Trendy Twine! 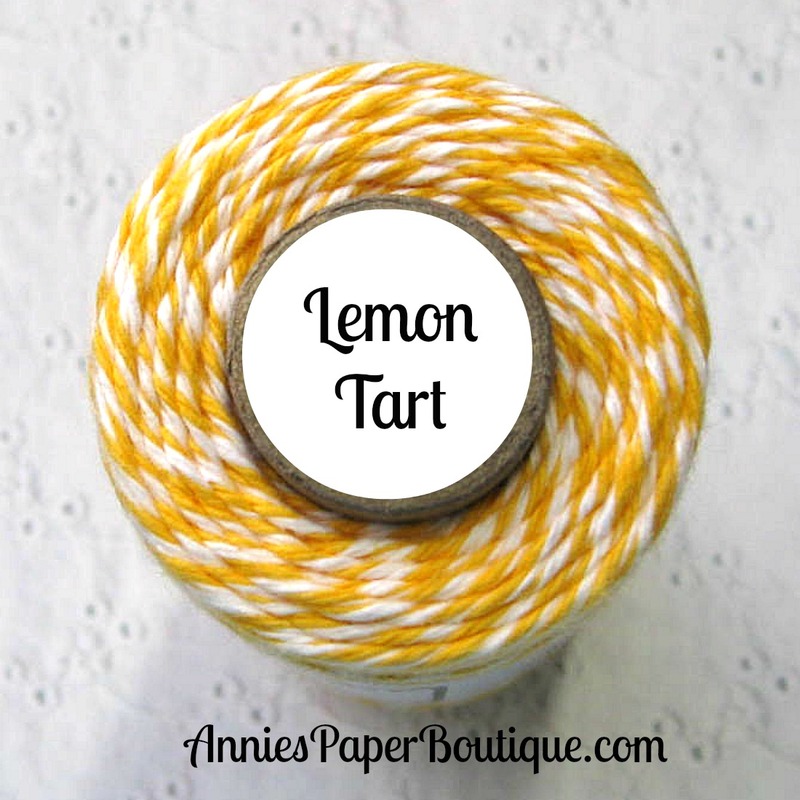 I used the Twisted Lime Trendy Twine that we are showcasing this month. Click on the link to get it while it's on sale!! I even added a small Trendy bow on the nuggets in the box. Stuck on with a micro glue dot. We really love to see what everyone makes, so I hope you join in our challenger this month. You can find all the details and the place to link HERE. 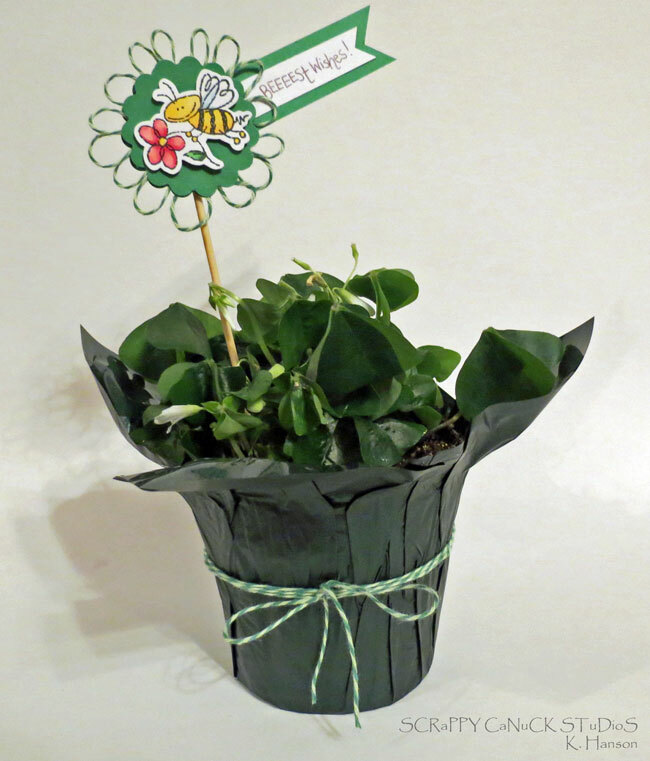 Don't forget to make your challenge project all green, add Trendy Twine, and have a shamrock and/or Leprechaun with a St. Patricks Day theme! Jamie here to share a new Trendy Twine project inspired by this month's challenge. I made a cute Lucky Treat! I used Twisted Lime and Limeade to make a string art shamrock. I know some of you wanted a tutorial for how I do my string art. So stay tuned, later this month I will have one posted for you. 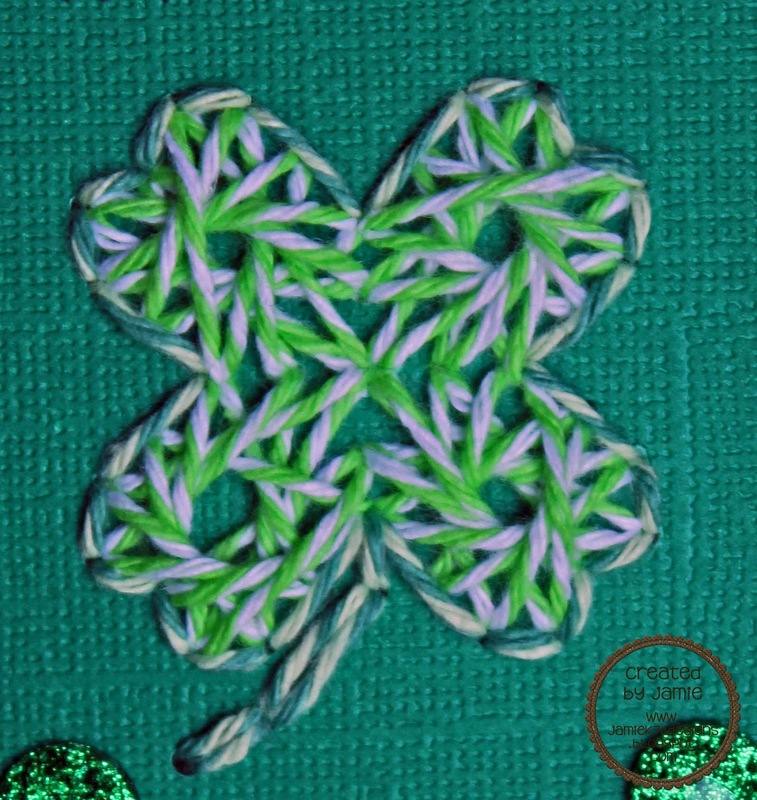 A close up of the clover, I did the string art with the Limeade and then outlined it with the Twisted Lime. Stop by my blog for details on my project HERE. You can find the Twisted Lime HERE and the Limeade HERE. All the info on how to enter our Challenge is HERE. Good morning twine fans! It's Karen from ScrappyCanuck Studios! I am here today to share a fun and simple project with you using Twisted Lime Trendy Twine - one of my all time favourite twine colours! This time of year always make me think of green, and not just because of St. Patrick's Day, but also because I start to anticipate the wonderful bright green colour that starts to make it's way into my garden! So I thought I would team up Twisted Lime with a couple of other springs favourites of mine - bumblebees and plants! To make this little plant topper, I teamed simply created a flower shape around my scalloped circle by looping the twine in behind the punched shape and adhering in place. I then added a bit of twine to the pot to tie the embellishments together, and I am all set to take this off to offer some "Beeeeest wishes"! Don't forget that you still have time to join into this month's challenge - Going green! And there are so many fun Trendy Twine green colours - there's bound to be one that you'll love as much as I love Twisted Lime...go check them out! We are super excited to be releasing our 45th color today. 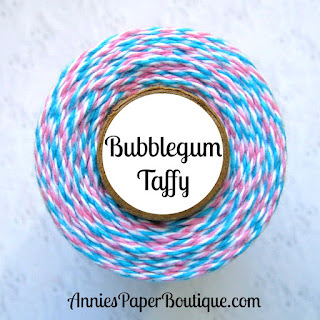 out-of-this world projects showcasing the new Bubblegum Taffy. Isn't this color gorgeous? 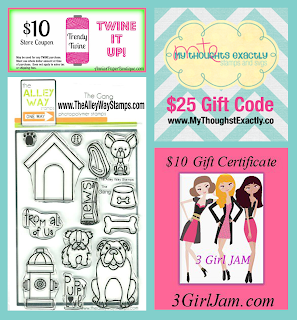 Just in time for Spring papercrafts and goodies. 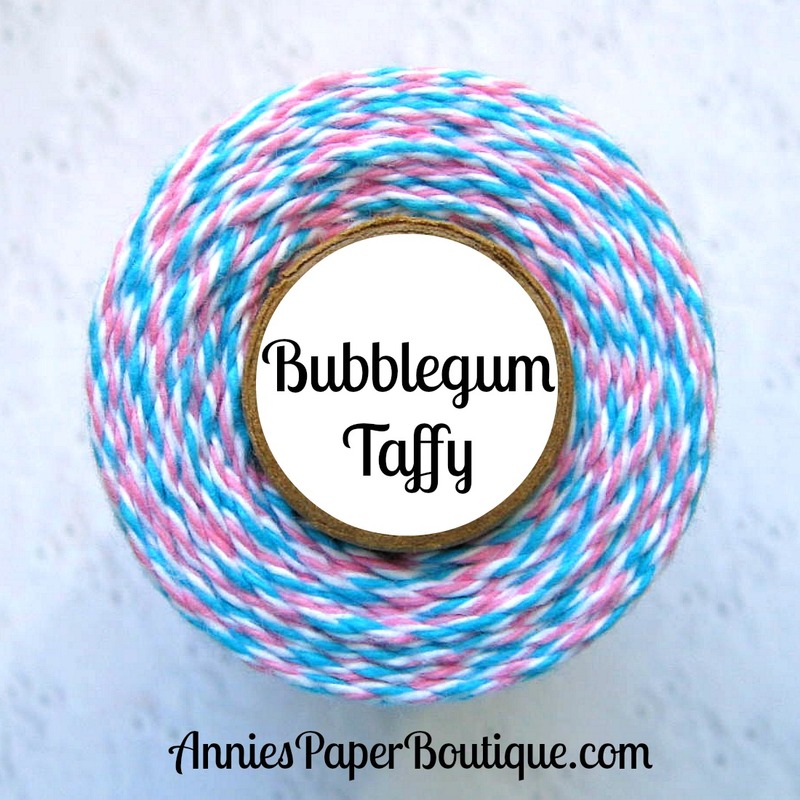 It is a mix of our new aqua with our Tickled Pink. A big thank you to all of these companies for making our hop even better. One lucky hopper will receive all four. What a fantastic bundle of crafty goodness! and like the Trendy Twine facebook page. Must do all three to be eligible. Deadline to enter is 10:00 pm central time, Monday, March 11th. Your first stop is Jessica. Trendy Luck Coming your Way!